Liverpool will welcome a further nine players to pre-season training on Saturday, adding to the initial group that arrived back at Melwood on Wednesday. 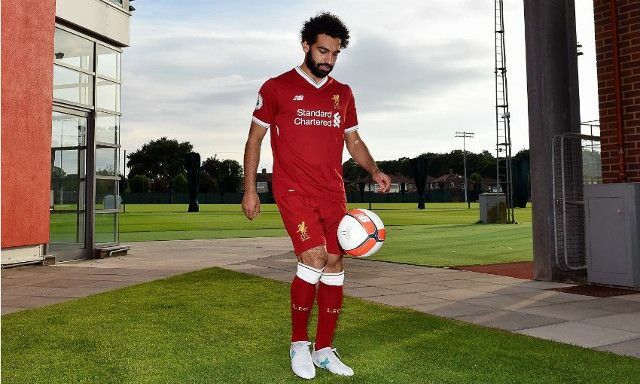 It will mark the first time Jurgen Klopp gets to see £36.9million signing Mohamed Salah join up with his new teammates, with the Egyptian set to be part of a nine-man cohort finally getting their summer preparations underway having been granted an extended break. Salah will be accompanied by Georginio Wijnaldum, Simon Mignolet, Ragnar Klavan, Dejan Lovren, Divock Origi, Marko Grujic, Harry Wilson and Danny Ward, Liverpool have confirmed. Judging by brief insights into the training sessions so far, the latest returning Reds can expect to be put through the paces with fitness work seemingly the unpopular main feature. Exclusive access to the Reds in training ? That said, Jurgen Klopp himself has been the first to praise the attitude of his men since returning from their summer holidays with all becoming aware of the growing competition for places and thereby the need to put in the work. While all eyes promise to be on Salah, it will also be the first day back for eight other players who all require a statement-making pre-season. Goalkeeper Danny Ward will begin fighting to be a worthy challenger to Simon Mignolet after finishing his season-long loan at Huddersfield, while Ragnar Klavan and Dejan Lovren will be striving to up their games knowing full well of Klopp’s desire to sign a new central defender. Youngsters Marko Grujic and Harry Wilson will be looking to prove themselves to Klopp in aid of earning more first team opportunities along with the likes of Ben Woodburn, Trent Alexander-Arnold and Ovie Ejaria. The club’s interest in RB Leipzig central midfielder Naby Keita demands a response from Gini Wijnaldum, while the abundance of attacking options Klopp is set to have at his disposal means Divock Origi also faces a tough fight. Not only do the right summer signings improve a team with their individual quality, but they can also be vital in driving their new teammates to step up.